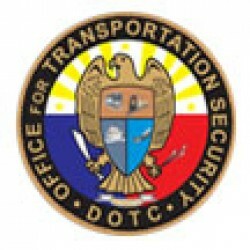 The Office for Transportation Security (OTS) is the single authority responsible for the security of the transportation systems of the country, including, but not limited to, the following: Civil Aviation, Sea Transport and Maritime Infrastructure, Land Transportation, Rail System and Infrastructure. It was created by virtue of Executive Order No.277. In response to the international mandate (i.e. ICAO and IMO guidelines) calling for a single authority for all modes of transportation security in the Philippines, E.O. 311 was issued on April 26, 2004.